Today I’ve been to the Ruin Lust exhibition at London’s Tate Gallery. It was a bit of an odd hotch-potch to be honest, and despite its theme, was sadly lacking in magic. I was however rather taken with this early 19th Century watercolour by Peter van Lerberghe from the Tate’s own collection. 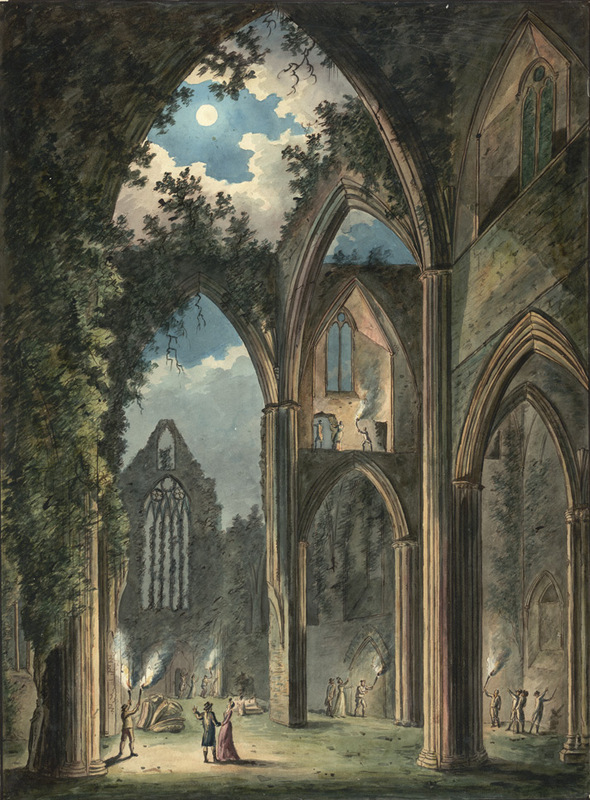 Created at a time when exploring romantic ruins was all the rage, the painting captures a group of brave tourists discovering the Gothic delights of Tintern Abbey by torchlight. It all looks like great fun. I’d love to do it myself, although I might not be bold enough to teeter along the top of the ruins like some of these visitors. And to be honest, I don’t think Cadw, who now take care of the picturesque ruins of Tintern Abbey, would be very keen!